Two boomers who have aged creatively share their advice in this well-written, inspiring book. A nice mix of stories about boomers who are creating retirement their own way and helpful suggestions from the authors, Creative Aging covers a lot of ground. The authors discuss common issues related to aging, including health, spirituality, emotions, lifestyle choices, and facing death, but they do so with an emphasis on positive thinking and creative empowerment. They also tackle some less-obvious topics. In the chapter “Feminism and Creative Aging,” for example, Romer discusses the fact that the women’s movement initiated by boomers in their youth has had a lasting effect. “Men who married the liberated women of the 1970s became liberated themselves. They learned, not without a struggle, that their partners were serious when they said ‘50/50.’ … With both partners retired from regular jobs, it’s pretty easy to split household tasks down the middle.” In a charming chapter titled “‘Is Anything Too Young for Us?’ Or, ‘Is There Anything We’re Too Old To Do?’” Romer makes a solid case for pursuing youthful activities and living a life unencumbered by age. Creative Aging is at its best when the authors explore creativity in its broadest sense. They talk about the fact that boomers take both creative and spiritual risks when they follow their dreams to do something different in retirement. Whether it is pursuing dance, learning a craft, sailing somewhere, taking a volunteer vacation, or starting a small business, boomers can age creatively. The book is creatively organized, too. A nice touch is the way in which the authors trade off writing the chapters, so two perspectives are presented. This technique eliminates the weakness of the “we” in a co-author relationship, and offers a more personal, one-on-one dialogue. At the end of each chapter, the authors include specific guidelines to help implement suggestions based on chapter content. 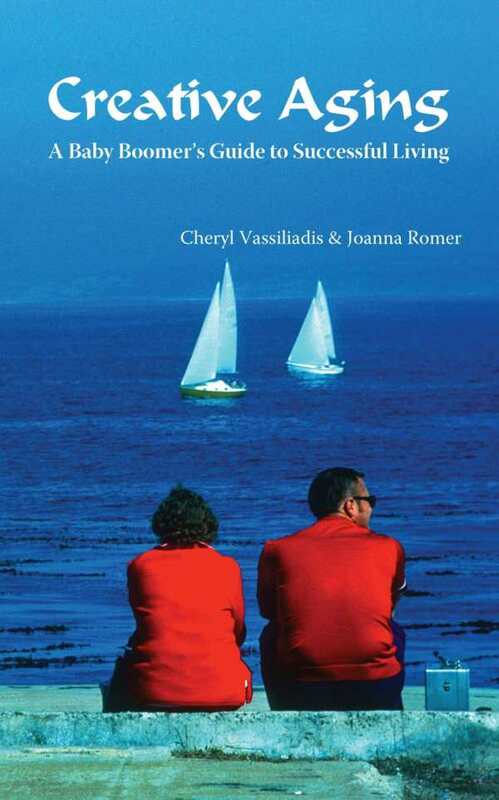 Vassiliadis and Romer have crafted a book with a strong voice and a thematic approach that is just different enough to make it stand out from the glut of books targeting retiring boomers. For those who want to make the most of their later years, Creative Aging is a very useful guide.